The Virginia Cavaliers won their first national championship in program history Monday night by beating Texas Tech. De'Andre Hunter led the way for the Hoos with 27 points, hitting key threes late in the game to force overtime and ultimately push Virginia past Texas Tech during the extra period. Junior guards Kyle Guy and Ty Jerome combined for 40 points in the 85-77 victory. After becoming the NCAA tournament's first No. 1 seed to lose to a 16-seed last year, Virginia opened its 2019 March Madness campaign trailing 16-seed Gardner-Webb at halftime. The Cavaliers managed to come back to win that game, before dispatching Oklahoma in the Round of 32 to advance to the Sweet 16. After surviving a low-scoring, closely-contested game against Oregon, Virginia beat Purdue in overtime in one of the games of the tournament to advance to the Final Four. At the Final Four in Minneapolis, the Hoos erased another late deficit to beat Auburn, before taking down Texas Tech to secure their first-ever national title. Virginia finished the season 35-3, marking the most wins in a single season in program history. 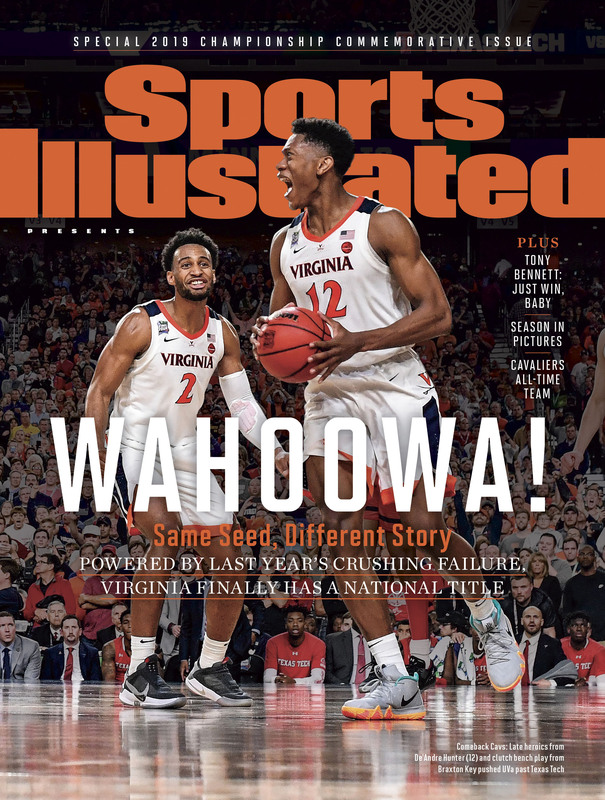 To celebrate the Hoos' first national title, purchase SI's special championship commemorative issue. You can also purchase a copy of the cover of that commemorative issue. 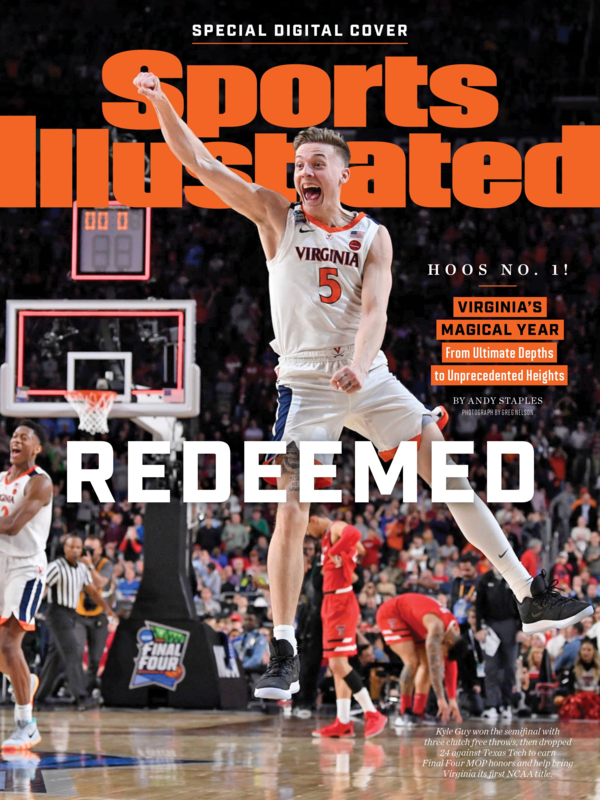 You can also buy a print of Sports Illustrated's special digital Virginia championship cover, featuring Virginia star Kyle Guy. To browse Sports Illustrated's other Virginia covers and memorabilia, including a 1981 Final Four cover featuring Ralph Sampson, click here.